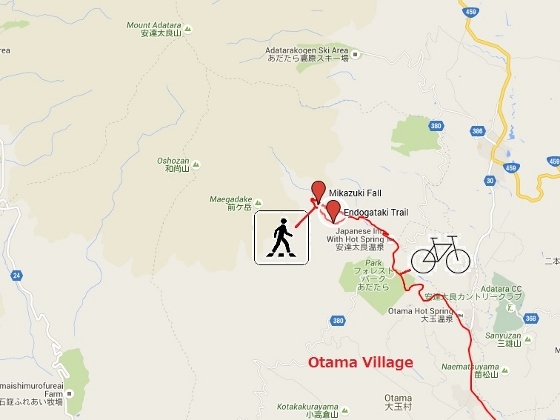 Otama Village is located just north of Koriyama and its population is about 8,700. Photo above shows typical scenery of the village with Mt. 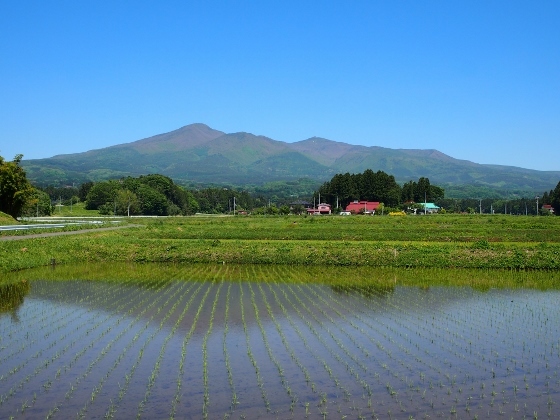 Adatara and rice fields. The village is also known that it made friendship city agreement with Machu Picchu Village of Peru in 2015. 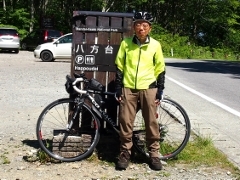 There is a trail path called Endogataki Trail along the Sugita River on the foot of Mt. Adatara. The altutude is about 800m above sea level. 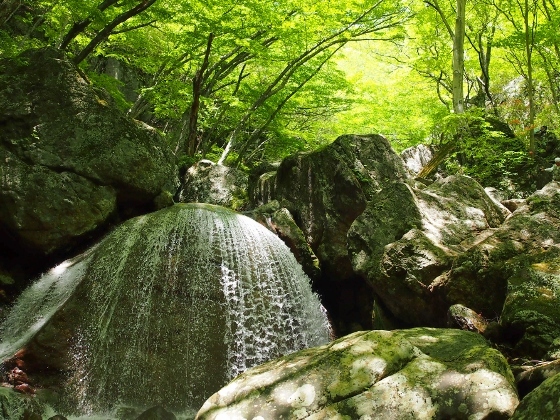 Photo above shows Mikazuki Fall along the trail which means crescent moon fall, surrounded with fresh green leaves. I could find some alpine flowers along the trail as shown below. 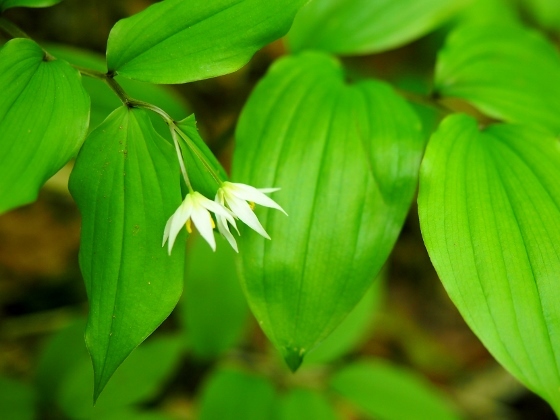 Photos above show pretty white flowers of Disporum or Chigoyuri in Japanese. Many were found all along the trail. Some of them have two flowers in one plant. 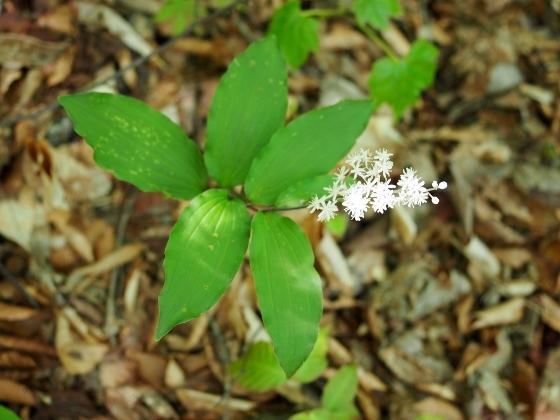 Photo above shows white flowers like snow crystals. 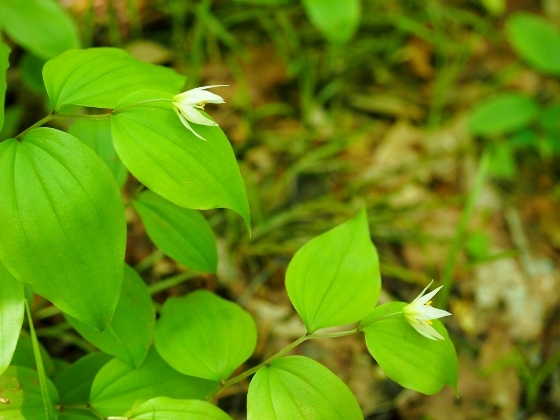 The plant is called Smilacina japonica or Yukizasa in Japanese.